Everyone is familiar by now with ordinary cameras and the pictures they are capable of taking, but what about a thermal imaging camera? These cameras create images that visual light cameras are completely incapable of capturing. What Exactly is a Thermal Imaging Camera? Thermal imaging cameras create images of infrared radiation, also known as, well...heat. The sensors in these cameras can create a composite image that accurately displays the heat that is emiting off of an object, resulting in an infrared image that is capable of showing you what the naked eye or a visible light camera can’t. 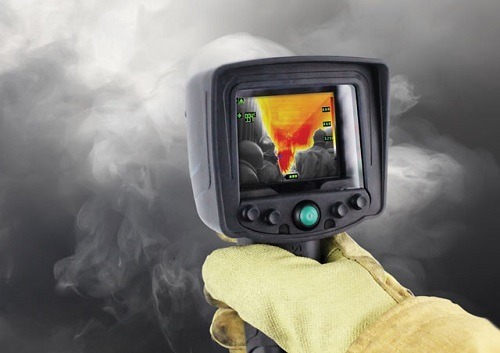 This technology provides endless uses, and is now widely available today for both novices and professionals that rely on thermal imaging to do their job. 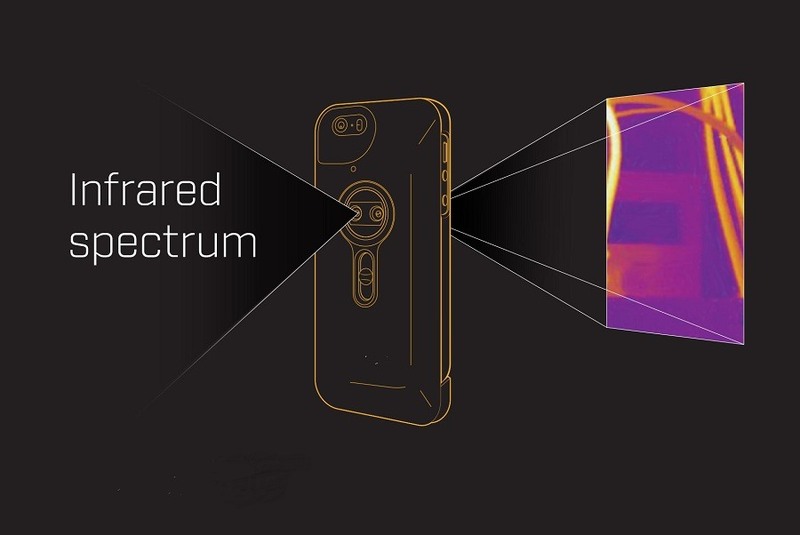 Before delving into how a thermal imaging camera works, let’s first explain what one even is. 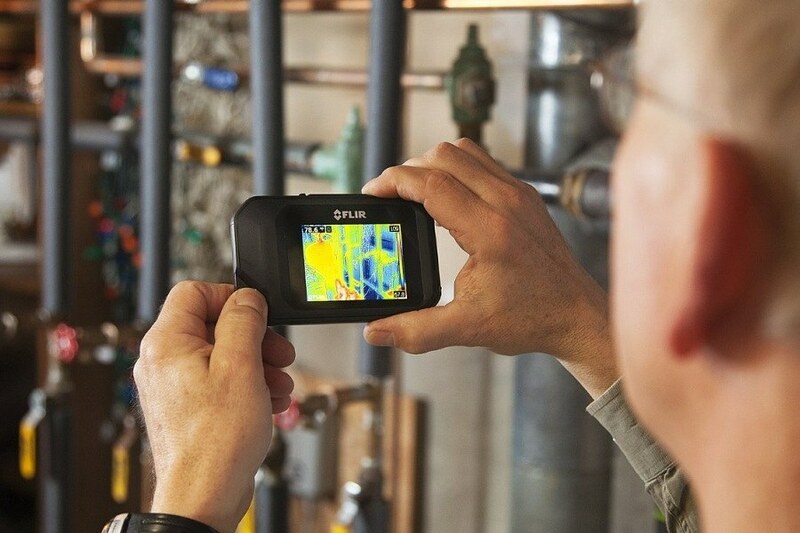 By definition, a thermal imaging camera is a thermal imager that is essentially a heat sensor capable of detecting tiny differences in temperature. The device collects the infrared radiation from objects in the scene and creates an electronic image based on information about the temperature differences. These cameras can come in many forms. Some are large devices that have to be wheeled around, others require two hands two hold, and the most used thermal imagers you’ll come across now are handheld devices that are ergonomic and controlled by a trigger to initiate the image capture. While all thermal imaging cameras have a infrared sensor to pick the the infrared wavelengths, many also have a visual light lens that creates an image to superimpose over the infrared image, providing more context and detail to the infrared image. 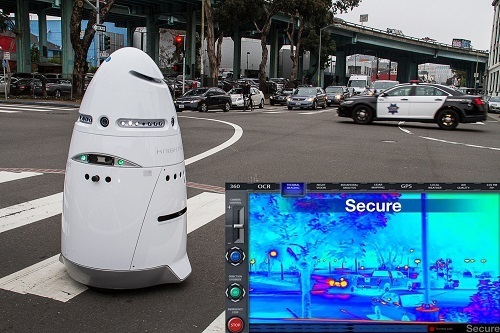 The vast majority of thermal imager cameras have a screen that gives an instant visual of the image captured, and some can instantly upload the images to a network, or send the image and even video in real-time to other devices. Thermal imaging cameras rely on a combination of sensors and circuits to create a usable image that can be clearly viewed on a screen. To begin, the thermal imaging camera’s lens is pointed at an object or area. The camera’s lens focuses the infrared light being emitted by all of the objects within the lens’ point of view.The focused light is then scanned by a phased array of infrared-detectors. The detector elements then create detailed and precise temperature pattern that’s known as a thermogram in roughly one-thirtieth of a second. The temperature information is gathered from several thousand points in the detector's field of view. The thermogram created by the detector elements is then translated into electric impulses.The impulses are sent to a circuit board with a specialized chip that translates the information from the detector elements into usable data for the camera’s display. Lastly, the signal-processing unit sends the translated infrared information to the display, creating an image of various colors depending on the intensity (heat) of the infrared emission. 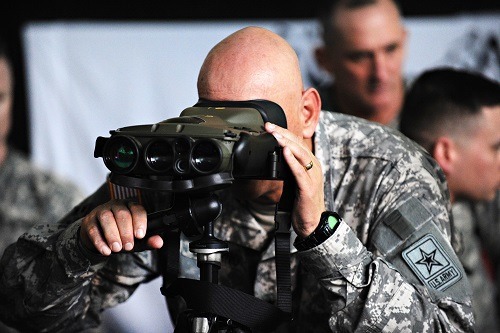 The modern versions of thermal imaging cameras were initially created for military use, but have now crossed over into a variety of avenues. This is perhaps the most popular use for thermal imaging, as both novices and professionals can benefit from it. Many devices and machines tend to overheat leading up to a failure, and that also includes circuitry and electrical outlets. Thermal imagers provide an easy way to scan these objects for specific areas that may be overheating. This quickly cuts out hours of guesswork and diagnostics, and can be done routinely to catch issues before they become severe. This can be applied to objects in your own home, or even on other things such as a car engine. Thermal image cameras can quickly show you problem areas anywhere from the engine block to the fuse box, saving you time and money down the road. Air leaks in and around your home can not only make your home less comfortable, they also cost you money from increased energy bills. 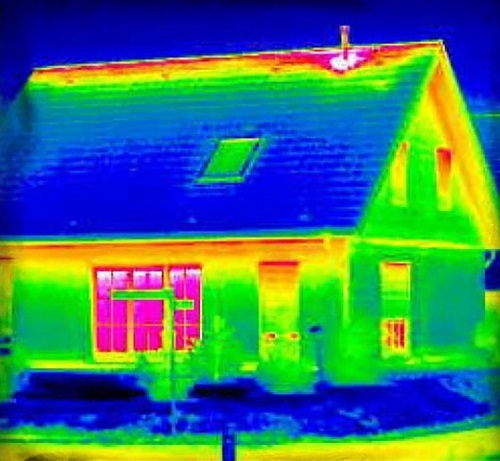 Thermal imagers allow you to quickly scan areas in your house for any drafts or air leaks that are contributing to the loss of heating and cooling in your home. With thermal imaging, you can pinpoint areas around doors and windows that aren't properly sealed, and use the imager after a repair to ensure that the sealing has been done correctly. .
You can even use these devices to spot missing insulation inside walls, and located any areas on your roof that could be contributing to the problem as well. Thermal imaging can save lives when time is of the essence. 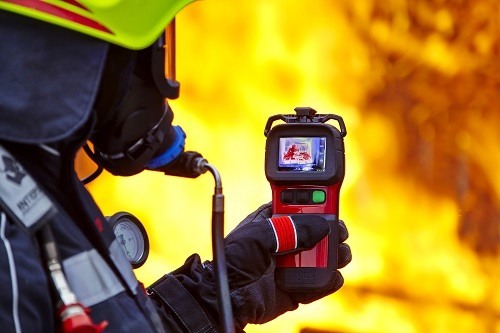 Fireme﻿﻿n regularly use thermal imaging when responding to property fires to look for any people that may still be inside, along with pinpointing the hottest areas of the fire. This can be especially useful when vision is obstructed by dense smoke. These cameras are of great use during catastrophic events such as building collapses. Thermal imaging can penetrate the debris and locate any victims that are trapped beneath the rubble, and might otherwise be missed. Policemen have even used thermal imaging to capture suspects who are in hiding. Veterinarians have great use for thermal imaging, especially when it comes to treating and diagnosis larger animals such as cows and horses. 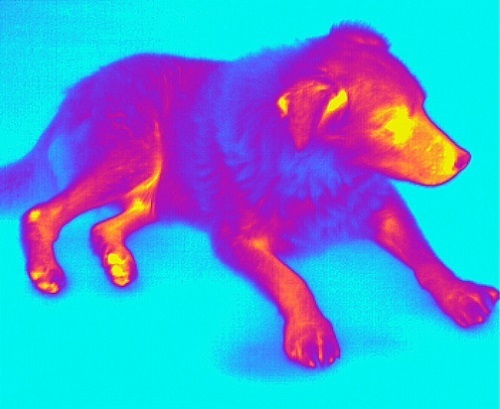 Thermal image cameras can help vets located parts of the body that are inflamed and overheated, indicating infections, internal bleeding, and whole range of health issues that are difficult to point out with the naked eye. Thermal imaging can be a big help when it comes to security. Whether you are investigating a noise in the backyard you heard in middle of the night, or are afraid that you might be in the presence of some unwelcome guests at night while camping, thermal imaging can reveal to you what’s otherwise shrouded in darkness. Thermal imaging isn’t just about locating heat. Sometimes abnormalities can because they aren’t putting out any heat at all. 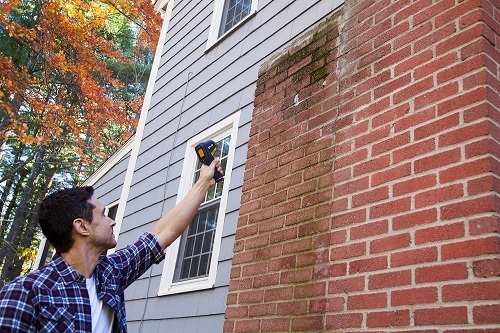 Thermal image cameras can point out mold that may be behind walls, and also find water leaks that are seeping into your basement, or out of a pipe.